Once you have received an activation email from FirstRain, simply click “Activate Your Account” to be directed to a page on which you can establish your user password. Bookmark your application homepage for convenient future access. Additionally, you can log in to FirstRain by clicking the Sign In button, located at the top of the FirstRain website. Enter your corporate email address and select Sign In. Note: If your company has set up a single sign on (SSO) with FirstRain, you will be sent to a personalized SSO login page. 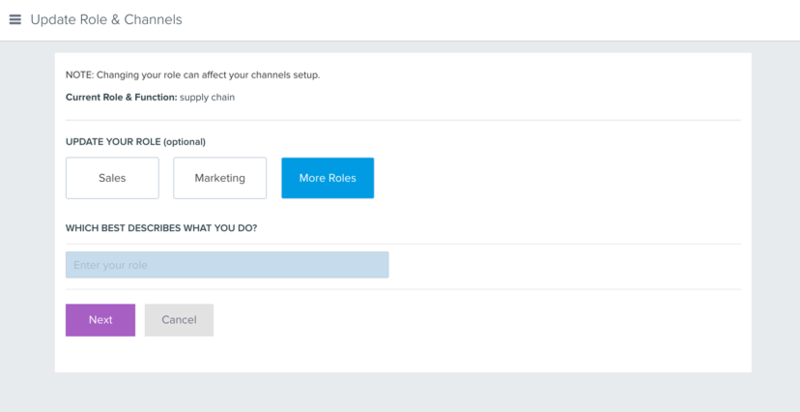 Note: If your role falls outside of Sales and Marketing, select More Roles to manually enter the closest match.